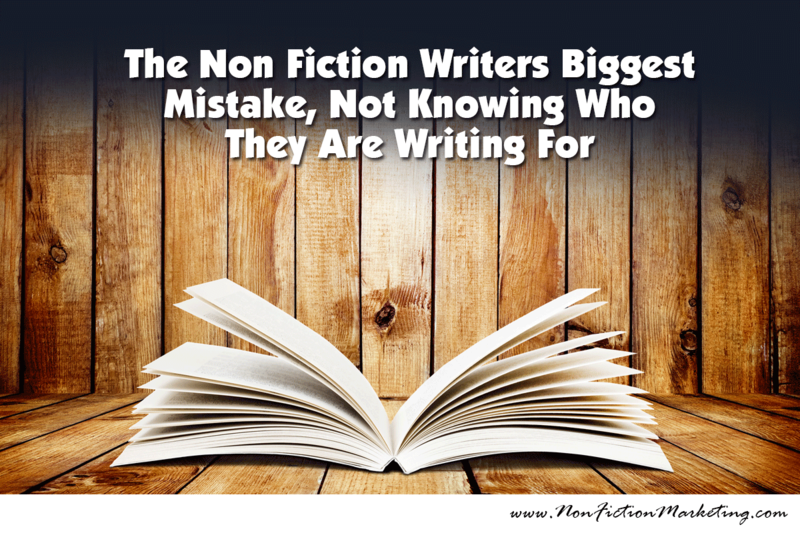 One of the biggest mistakes non fiction writers make is assuming that they can write one book which will attract and sell to all different kinds of people. 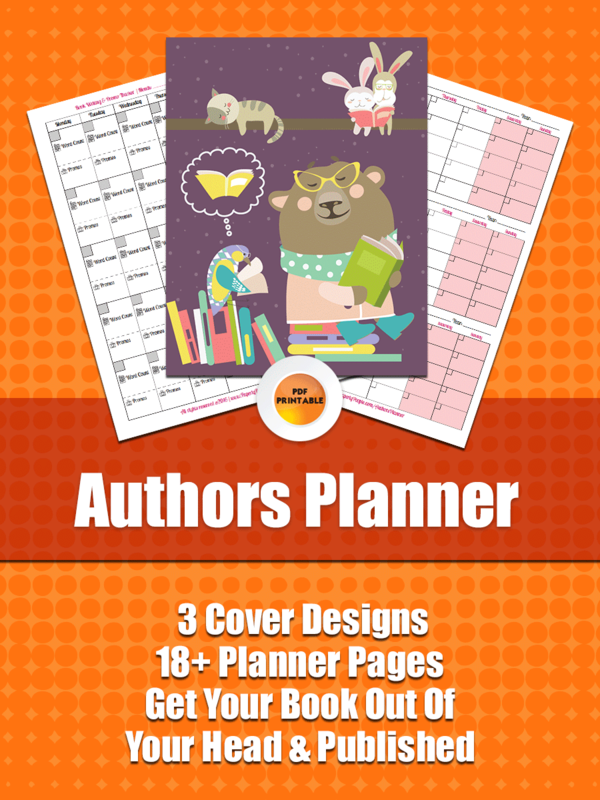 It is easier for the author to write one book or one sales page so they throw in everything and the kitchen sink in the hopes that they will attract everyone to read their books. The problem with that is two fold. First, most people do not have time to slog through a book that is kinda, sorta about what they are interested in, struggling to find the gems that would apply to them. Second, the chances that you can write a compelling sales page that will work on this kind of disparate group is practically none. If your “who is this book for” section of your description looks too chaotic, no one will identify with it and buy your book. We have done extensive research to find out what kinds and lengths of non fiction books people are wanting to buy. Unfortunately, most of the data out there is about fiction and novels. What we have found is that non fiction readers want the answer to specific question, that they are willing to pay more for a shorter work and that they are less funny about trying a new author if the information included seems to be relevant to their interests. Diet books – There are scads of different types of people you could be writing for with a diet book. A woman who wants to lose the baby weight, a young woman who wants to look good for men, an older woman who wants to lose 10 pounds, a long distance runner who needs to eat healthy and stay lean AND a man who knows he needs to lose weight before he has a heart attack and dies. Can you guess which of these books goes with each of the types? 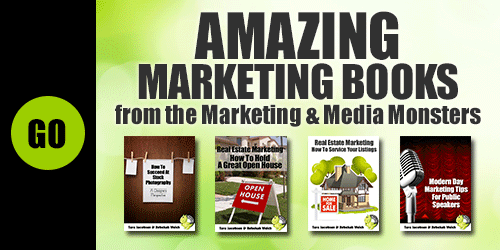 These authors have all done a really great job of targeting their audience to get the most sales. But what if your non fiction work is actually good for multiple groups of people like some of ours are? In this case you need to have multiple sales funnels leading to a more generic sales page (Amazon description for example). This also requires a fair bit of work as you will need blog posts, articles, webinars and other marketing to “feed” into the book’s sales page. This post is a great example of that. Our book, Sales and Marketing Success, is actually about customer demographics and how to build a Perfect Customer Profile. 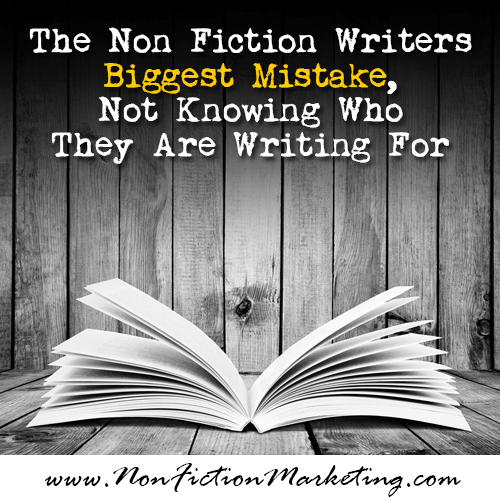 It was NOT written for Non Fiction authors specifically, but the information contained in it will be invaluable to you when plotting out your book or writing sales copy. This post is a “feeder” into selling that title. We know that a certain number of authors who read this post will be intrigued enough to click through and order the book. The nice thing is, because we have “preloaded” the interest in the book, you will not have to “study” the description as much, trying to see if applies to you. With this post we have already let you know that it DOES apply and will be valuable to your marketing efforts. These types of posts almost act like a “referral” from a friend in real life. If we have done a good job of providing information that you can use in a compelling manner and helped you solve a problem, you probably think of us as “friends” and willing to give our non fiction title a shot. Want to find out more? Check out our blog post, Customer Demographics Versus The Perfect Customer Profile or get the book below today. As you can tell, we are pretty rabid fans of working with customer demographics and how they can help with product development, sales copy and content. With all that in mind, we wrote a book detailing the “magic system” we had developed for figuring out EXACTLY who we were selling our products or services. If you have ever read sales copy and thought, “dang that sounds just like me”, someone probably used a system like this to figure out what would make you buy and buy! The uber cool thing is that it is not a high price, two week long course! In fact it is a $2.99 ebook that will walk you right through the whole process so you can figure out your perfect customer yourself! 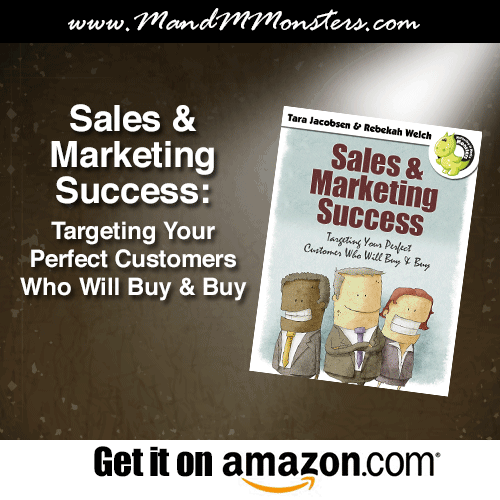 If you got anything out of this post at all, you will LOVE the Sales and Marketing Success Book that details how to do a Perfect Customer ProfileTM…get it today!